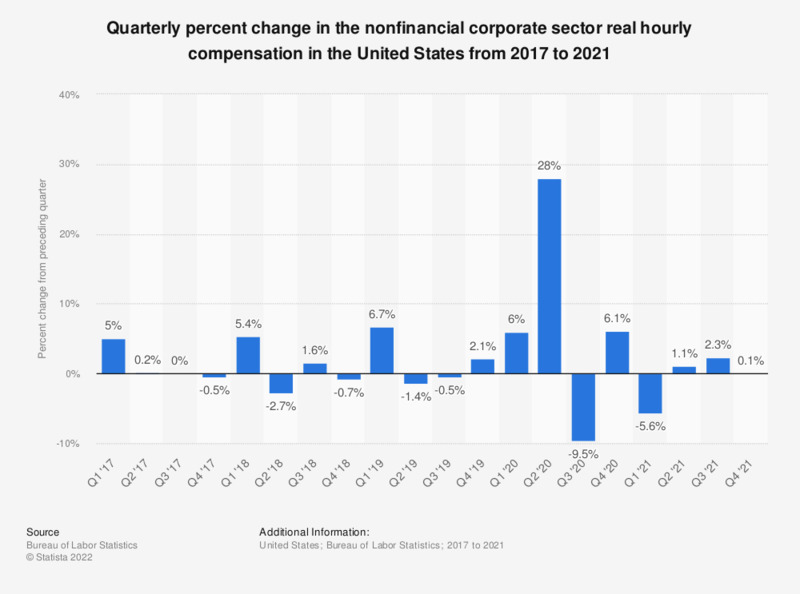 This graph shows the quarterly percent change in the nonfinancial corporate sector real hourly compensation in the United States from 2016 to 2018. The data are seasonally adjusted at annual rates. Labor compensation includes accrued wages and salaries, supplements, employer contributions to employee benefit plans, and taxes. Real hourly compensation in the nonfinancial corporate sector increased by 1.6 percent during the third quarter of 2018. Real hourly compensation is adjusted for inflation based on the Consumer Price Index for all urban consumers (CPI-U).